In this section, we will discuss four kinds of surgeries that use spinal implants. Specifically, we will consider posterior, anterior, and transforaminal lumbar interbody fusions and axial fusions. The interbody fusions include removing the intervertebral disc. Axial fusion is intended to repair the injured disc. There are some unique approaches to surgery of spine. Surgical approaches include posterior (back of the spine), anterior (from the spine front) and lateral (on the side of the spine). The anterior approach, from the spine front, enables direct access to the disc. This kind of surgery approach allows surgeons to access the spine without moving or disrupting the nerves. A vascular surgeon often will assist the orthopaedic surgeon to move the blood vessels and organs to expose the suitable disc. The surgeon uses orthopedic implants to perform the surgery. The most common approaches are the posterior lumbar fusions. The spine is approached from the back. Most PLIF’s are done in the lower or lumbar spine (L4-L5 or L5-S1 region). A kind of spinal implant such as a cage is inserted into the disc space reestablishing the spacing between the vertebrae. TLIF is also a spinal fusion process approached by the posterior of the spine. Surgical implants such as pedicle screw and rods are attached to the vertebrae. Bone grafts are positioned into the interbody space to be fused. It treats instability or weakness of spine by uniting the bones. AxiaLIF approach reaches the disc from the sacrum front by an incision near the tailbone. It is a minimally invasive spinal fusion. The damaged part of the disc is removed and is replaced with material of bone graft. This kind of spinal fusion is helpful in treating degenerative disc, spinal stenosis, and spondylolisthesis. The fusion will help to stabilize the spine and release pain. As with any surgery, there are advantages as well as risks. Physicians and patients require to weigh the pros and cons of surgery as well as spinal implants. 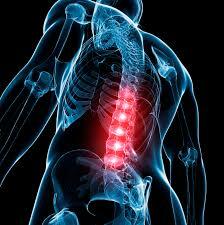 The number one benefit of having spinal implants for most will be the instant pain alleviation. Surgery, whether it is minimally invasive or not will have most persons back on their legs again, living their fantastic life. As stated above, doctors and patients are concerned with long-term pain medicines as the answer. Spinal implants are a consideration if all other methods and therapies have failed. Any operation has some amount of risk. There is always an infection risk with surgery. Spinal fusion is complicated. For any reason, the fusion may not bond and anticipated. This may need added surgeries. The “hardware” utilized such as bone plates, orthopedic screws, and rods could move after surgery which could lead to problems. As this kind of surgery changes your spine anatomy, there could be unforeseen results. If living with back pain is intolerable, process that include spinal implants may be worth considering. The spinal implants can be obtained from trauma implants suppliers in India.